A while ago I promised that I would continue to at least make a pie a week… and I am sad to say that that has not happened. Honestly, I don’t know how I made a pie a day for a year. When I thought about making a crust for just one pie this last week, it seemed overwhelming! I guess making a batch of dough that would make crusts for eight pies was easier than going through the motions for just one pie. However, what I have done over the past few weeks is shared food. I brought lasagna and freshly baked bread to a woman who I recently met who is going through a very difficult time. I also brought cheesecake and hors d’oeuvre to church for an impromptu coffee hour. And later on a walk through town, I gave a sandwich to a stranger near the entrance to the park (and this does not take into consideration all of the catering I have been doing!) So while I was not busy making pies, I was still invested in bringing comfort and love to others through food. If it isn’t obvious already, let me say that I feel that creating pleasing food is a gift that I have been blessed with… and I believe that we all have been blessed with gifts such as this. Some people have a gift for working with children and bringing out the best in them. Others of us are talented artists; still others of us have dedicated our lives to science and the healing arts. Each of our gifts are valuable and important in the grand scheme of things. And I believe that if we are able to share our gifts with others, we will have achieved our lives true purpose. This morning I spoke to the Lithia Springs Rotary Club about my pie project. I didn’t know how this talk would be received… for to me it seemed like old news. I’d make a pie a day for a year… so what? I was surprised to find that some of the folks in the club had not yet heard of my project while many others were inspired by it. It was really an enlightening experience. Perhaps I’d been so consumed by my own journey that I just assumed that everyone else was as well? I forgot to mention that I made a pie for the meeting this morning. 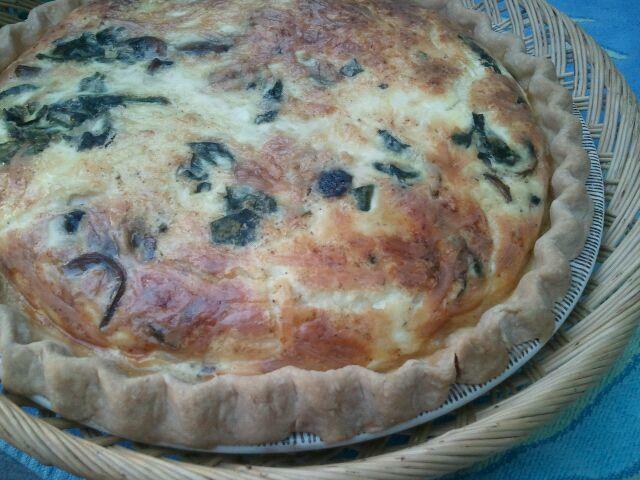 Many years ago I was the caterer for this Rotary club and since I would be speaking about pies this morning, it seemed only natural to bring along a spinach and mushroom quiche. 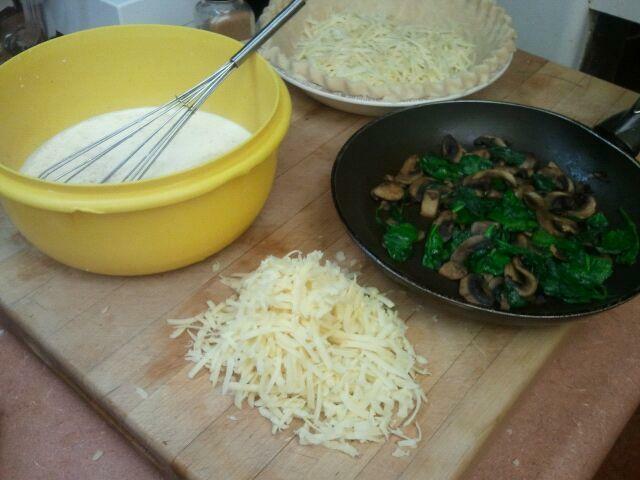 It was the first real pie that I have made in a few weeks… and I really enjoyed the zen of it all. I think it’s safe to say that I will be making pies for a long time to come… or at least until I can find people to share them with. ← Wow… somehow I did it! Sounds like you have been a busy woman! I enjoyed Alexandra’s video! Great job. I hope good things are happening for you! Take care! Thanks Connie! I’d love to share more of this journey with you and Mark sometime soon. Maybe we can get to the coast soon!